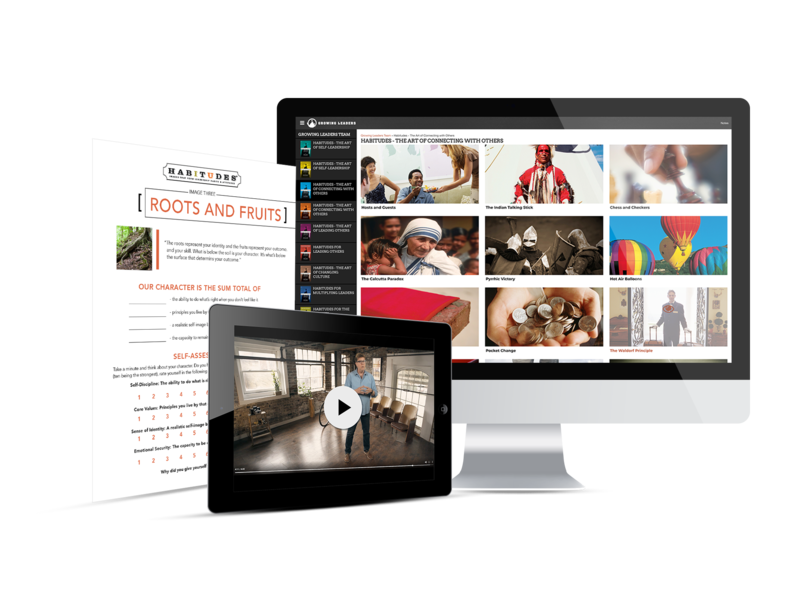 For the first time ever, a Habitudes® course includes 31 total images and lessons! This comprehensive leadership curriculum has everything that you need to teach Habitudes for Building Student Leaders to students in positions of leadership. Habitudes is a breakthrough way to teach leadership principles to today’s changing student. Habitudes for Building Student Leaders uses the power of images, conversations, and experiences to illustrate 31 key principles on healthy leadership. Need more logins or looking to teach more than one class or group? Call our team at 770-495-3332 to access group pricing. According to recent studies, 77% of your students strive to be leaders. In order for you to help them reach their maximum leadership potential, you must have the proper tools and process in place for them to grow. That’s why we created Habitudes for Building Student Leaders. Habitudes for Building Student Leaders seeks to equip today’s students with the timeless leadership qualities they need to be able to positively impact their school and community. Created by Dr. Tim Elmore, these lessons plans were designed to how Generation Z prefers to learn – through images, conversations, and experiences. Why Use Habitudes for Building Student Leaders? **Habitudes for Building Student Leaders is copyright 2018 by Growing Leaders, Inc. All rights reserved. No portion of this material may be reproduced, stored in a retrieval system, or transmitted in any form or media by any means, electronic, photocopying, recording, or otherwise, without the prior written permission of Growing Leaders, Inc.
– Nancy Ward, Executive Director for the Gwinnett Student Leadership Team, Inc.; Former teacher and assistant principal. Click on the link below to view a free sample of the HabitudesOnline digital license for Habitudes for Building Student Leaders.